Quark-gluon plasma, known to scientists as the "perfect fluid", is one of the most exotic states of matter in the Universe. Now, new research may show us how to recreate the matter in controlled experiments. Thanks to new research, quark-gluon plasma, one of physic’s most elusive states of matter, may soon be in our reach. The Universe is brimming with many exotic states of matter, such as plasma and the Bose-Einstein Condensate, whose properties both defy our understanding and pique our interest. Another exotic state of matter is quark-gluon plasma, which once was, for a very brief time, all that our Universe was made of. Now, scientists are trying to recreate it in a particle accelerator and develop models describing its intricacies. Superfluids are quickly becoming an important subject of scientific study that represents an exotic state of matter with almost zero viscosity. The absence of electrical resistivity in superfluids is of particular importance for research in superconductivity, nanotechnology, chemistry, and medicine. While scientists have succeeded in creating and controlling superfluids, they struggle to present them to the world as applicable solutions. In the Universe, however, superfluids are naturally generated by particles under extreme conditions. 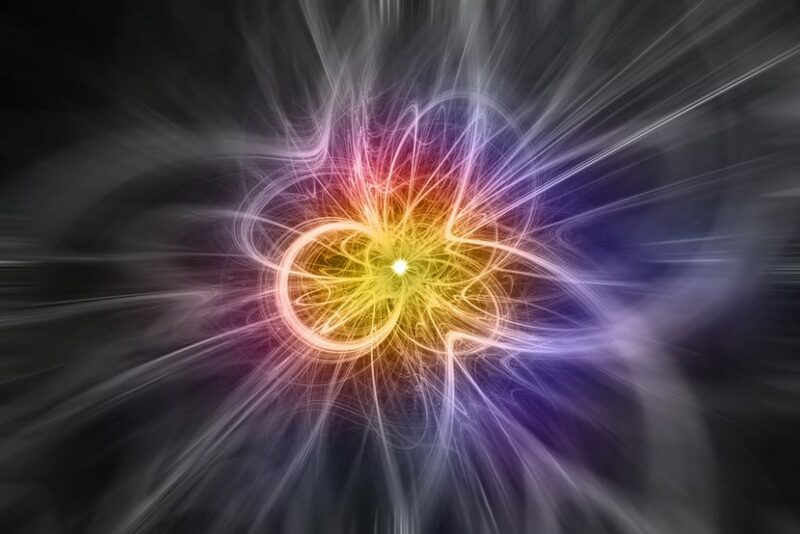 Quark-gluon plasma (QGP), which is sometimes referred to by physicists as the “perfect fluid”, was the primordial soup that gave rise to all the matter we see in the cosmos, us included. Our Universe, for about ten-millionths of a second after the Big Bang, was made of a hot and dense soup where particles moved at a velocity close to that of light. Quark-gluon plasma consists mainly of quarks, or the fundamental constituents of matter, and gluons that act as, well, a “glue”. What makes quark-gluon plasma different from other states of matter, such as solids, liquids, and gases, is that quarks and gluons roam freely. As quark-gluon plasma cooled down, and under the binding force of gluons, quarks formed bonds to create all kinds of particles, such as neutrons and protons; or, in a word, matter. Quark-gluon plasma is thought to be absent from the Universe after it accomplished its short-lived mission and left lasting effects. Some physicists, however, theorize that very dense stars could allow quark-gluon plasma to exist, but even then, it remains unreachable. Quark-gluon plasma is perhaps the most exotic of all states of matter. The only way to get to study the properties of QGP is to recreate it via heavy ion collisions in particle accelerators. There are currently some experiments being carried out in facilities around the world to achieve this, but to no avail so far. Polish and German particle physicists have gathered their efforts to throw light on Quark-gluon plasma and its quantum byproducts. The research is the work of a team of physicists from the Henryk Niewodniczanski Institute of Nuclear Physics (IFJ PAN, Poland), and the GSI Helmholtz Centre for Heavy Ion Research (the GSI Centre, Germany). The team based their new QGP flow model on hydrodynamics, a model that’s been around for centuries and that describes the behavior of fluids. They think that hydrodynamics, with some twists, can be extended to the quantum realm to describe quark-gluon plasma, which behaves as a superfast fluid. “Hydrodynamics is an excellent tool for describing many physical phenomena. We have broadened its scope of applicability. We are the first to present a coherent description of relativistic particle flows with spin 1/2”, said IFJ PAN’s Wojciech Florkowski, co-leader of the research. Do you think scientists will ever be able to recreate quark-gluon plasma?